Abul Barkat, PhD is one of the most illustrious Professors of Economics in the University of Dhaka, Bangladesh. 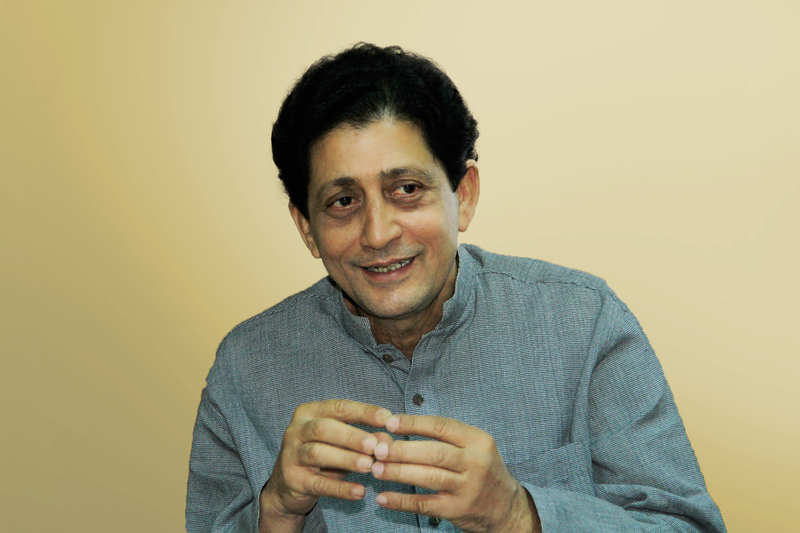 Popularly known as People’s economist, Dr. Barkat is one of the most reputed and respected political economists in and beyond Bangladesh. As an erudite scholar and invincible social thinker, he, in his credit, has over 600 high quality research works including research books, edited volumes, journal articles, monographs and thought-provoking papers for national and international conferences on multidimensional issues of human development. Lately he is awarded with the University Grant Commission Gold Medal for the commendable research work. In recognition of his basic research, a prestigious award from the University of Dhaka known as – ‘Justice Ibrahim Memorial Gold Medal’ – was conferred on him twice. His research interest covers wide spectrum of development discourse including— political economy of human development in a globalised economy; the nexus of poverty-inequality-deprivation; criminalization of economy with special focus on politics, rent seeking and inequality; informal economy-black money; land rights and agrarian reforms; rights of marginalized peoples; migration and development; governance and development; health and population economics; economics of fundamentalism; and political economy of tobacco-taxation. Currently, Dr. Barkat is the Chief Advisor of Human Development Research Centre (HDRC)—which is a proven leader in the field of socio-economic research in Bangladesh since 1999. He is the Founder Chairman of Department of Japanese Studies, University of Dhaka. He is also the Founder Chairman of ‘Abul Barkat Peace and Progress Foundation (ABPPF)’. Dr. Barkat, as President of Manob Sakti Unnayan Kendra (MSUK)—an NGO in Bangladesh—is actively involved with socio-economic analysis and free-distribution of Arsenic Removing Filter. This filter, being designed with outstanding technology, was the million-dollar 2007 Grainger Challenge Prize Winner from the National Academy of Engineering, USA. He is the founder of MuktoBuddhi Prokashona— a publication house dedicated to publish the free, unfettered intellect. He is the elected President (2018—19) of Bangladesh Economic Association—the largest civil society body of Bangladesh with more than 4,000 member economists. Dr. Barkat was the Chairman of Janata Bank Limited – the largest State-owned Commercial Bank of Bangladesh. Dr. Barkat is also one of the founders of Dhaka School of Economics. Dr. Barkat actively participates in the civil society activities. He is widely known for his uncompromising and courageous role in the unending struggle against human deprivation and all types of fundamentalism and extremism. He has participated in numerous seminars and conferences in 67 countries of the world. Dr. Barkat was born in Kushtia, Bangladesh on September 27, 1954. He completed his MSc (Specialization in Trade Economics) and PhD (Specialization in Political Economy of Development) from Moscow Institute of National Economy (MINE, Plekhanov Institute), Moscow, USSR. He is a proud Freedom Fighter of the Great Liberation War of Bangladesh in 1971. He joined the Economics Department of University of Dhaka in 1982 and continues in the same department till date. Currently, he lives in Dhaka in the university campus with his loving wife and three daughters. Besides taking classes in the department and traveling for research and dissemination purpose, most of the time he thinks, reads, and writes sitting in his tiny study at his roof-top garden with over 800 trees and plants. Click here to see the detail CV of Prof. Abul Barkat.